Announcing the Peace of Mind Homeowner Rebate Offer! Custom Windows Systems is offering for a limited time $30 per window and $100 per door on any WindPact Plus impact-resistant products. Clink on the link below to download offer details and remittance information. Russell King and his nephew, Dr. Lebron Lackey, built their home, the Sand Palace, in Mexico Beach, FL home to withstand a Category 4+ hurricane. From the 40-foot pilings buried into the ground to the types of screws drilled into the walls. In a high wind event like a hurricane, flying debris can break windows and doors. When a window or door opening is breached from flying debris, it causes a pressure variance in the house which causes significant damage and could lead to the roof to blow off. 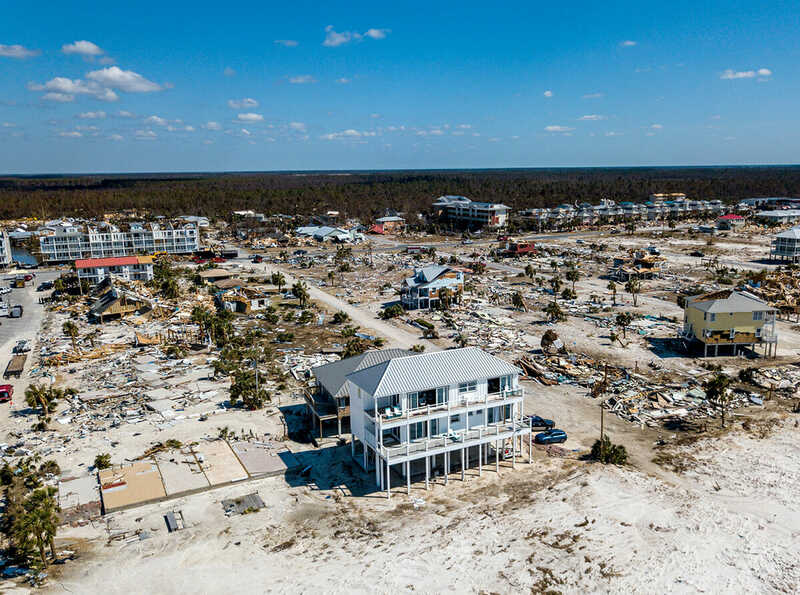 In October 2018, Hurricane Michael made landfall as a Category 4 hurricane in Mexico Beach and caused devastating damage to the town. A few windows in their home sustained some damage from flying debris but did not fail, the windows stayed intact and preserved the home. CWS windows and doors performed as designed and helped keep the Sand Palace safe and habitable.